When it comes to meeting your aviation needs, the instruction, the mechanical and the aesthetics, you can count on 1 Vision Aviation to ensure the job is dealt with properly and with care. 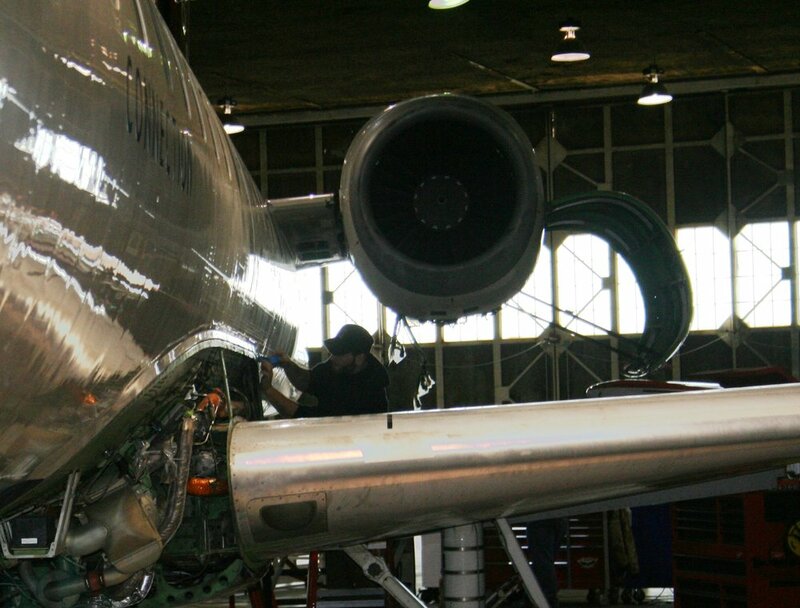 We are an FAA Repair Station or Maintenance Repair Operation with company headquarters located in Sioux City, IA. The company is engaged in supporting aircraft maintenance, flight operations, and safety management throughout the US, Caribbean, Mexico, Canada, and Africa for airline operators. 1 VISION AVIATION performs line maintenance, service checks, heavy checks, modifications, painting of the aircraft (interior and exterior) and components, sheet metal work, refurbishment, fiberglass repair, and more! We can support you with an AOG team capable of deploying to anywhere in the continental U.S. within 12 hours to get your aircraft back in the air! 1 Vision Aviation is qualified and trained to perform maintenance on many fleet types including transport category aircraft. 1 Vision Aviation is a Part 145 FAA Repair Station and is also certified to work on Transport Canada aircraft. Our customers’ safety is our number one concern. Routine and regular maintenance can increase safety, and can help avoid costly repairs down the road. 1 Vision Aviation is located in the Central United States for easy access. Inside and out, mechanical and aesthetic, we’re prepared to go through your craft with a fine tooth comb. All aircraft pass safety audits before leaving our shop. Truck it in, fly it out! With our in-house paint facility, the only limits are your imagination. We also have an in-house upholstery shop with trained personnel – with unlimited fabric and color choices we can exceed your expectations.